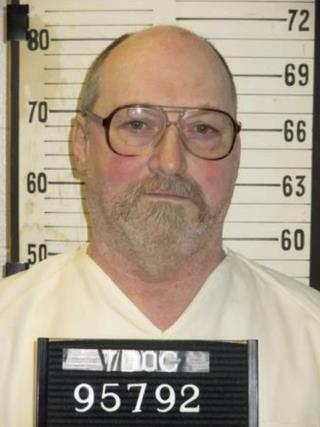 (Newser) – Tennessee executed its longest-serving death row inmate Thursday night—and after 36 years as a condemned man, David Earl Miller was apparently ready to die. The Tennessean reports that the 61-year-old's last words after he was strapped into the electric chair were initially inaudible. After the warden asked him to repeat himself, he said: "Beats being on death row." Miller was sentenced to die for the horrifically brutal 1981 murder of 23-year-old Lee Standifer, a mentally disabled woman he was on a first date with in Knoxville, Fox reports. Prosecutors said he beat and stabbed the young woman to death with a fire poker, driving it in so deep that officials said he must have used a hammer. And there you have it, straight from the inmate's mouth. Now let's clean out Death Row because it's obviously the better choice. He is right. Death Row is cruel and unusual punishment, and unconstitutional. When handed down, the death penalty should administered quickly and humanely. Never understood why people would choose life in prison over execution anyway. But then, my life really hasn't been so bad.